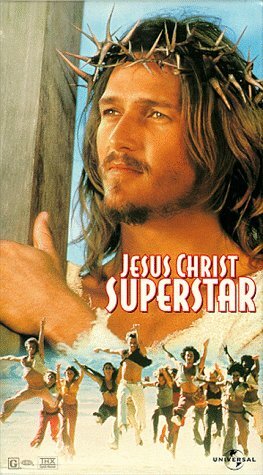 This time of year in our family, we listen to “Jesus Christ Superstar” in the car and we try to watch some version of it, too. Our copy of the movie really belongs to #1 Son, so it has moved with him to New York. But that Jesus is in our minds when we listen, skinny and disheveled and pretty much having a little nutty all the way through the musical because his opponents are unholy and his companions are mostly idiots. It’s a rock opera, and that means screaming guitars and screaming voices. LP and I prefer the Jesus given to us by “Godspell,” that kinder, gentler rock musical, which tells the story in a more symbolic fashion. Every time we talk about it I do that thing my family laughs about—and I hope it’s with appreciation—which is to tell them what other shows the actors have been in, to help them place the people whose voices we are hearing. Nowadays, if memory fails I whip out my iPhone and consult the Internet Movie Database if we want to know who somebody is, or was. It’s all there at our fingertips: the collective knowledge of the world, or at least of the entertainment world. 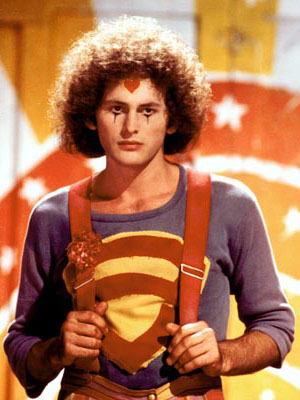 So we prefer Victor Garber (who you may have seen on Alias) to rock singer Ted Neely. He’s a sweet and gentle Jesus who gets the point across with humor and firmness. This probably tells you more about our family preference for old-fashioned music hall over rock than it does about Jesus. 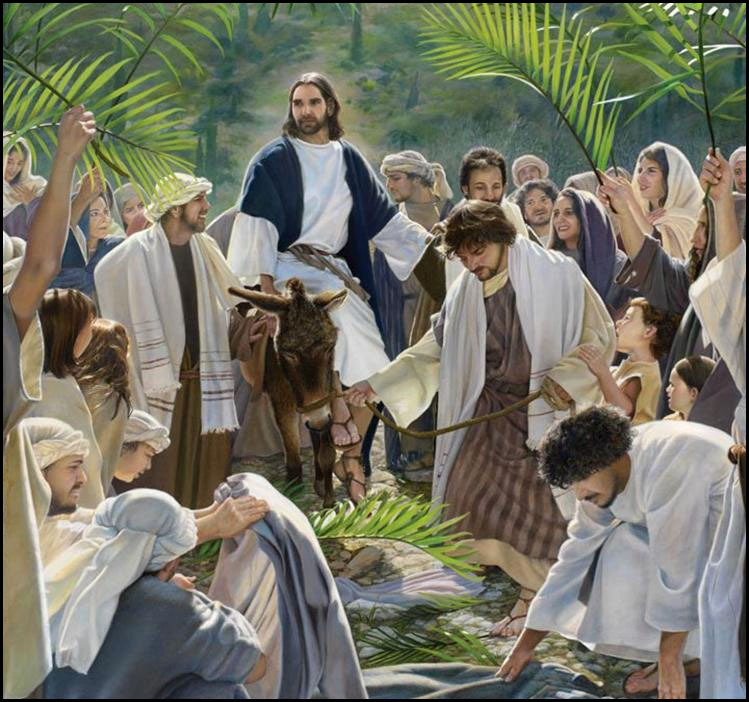 Most likely any of my children could spend the next few hours dissecting Superstar Jesus and his relationship with Judas as compared to the actual gospels, but none of that would answer the question being asked in Jerusalem on the day we are remembering, the day we call Palm Sunday. How do you identify Jesus? Who is this? That’s what the people in Jerusalem wanted to know. He appeared in town riding on a donkey, with people laying branches at his feet (no palms in Matthew’s account of the day) and spreading their cloaks in the road. They did these things to show him honor, to show their care and respect for him, even though they may well have wondered why he asked for both a donkey and a foal, just as we wonder how he managed to ride both of them at the same time. He rode them to live out a prophetic word, an Old Testament forecast that the Messiah would come into the city in an eccentrically humble fashion. You will know your ruler by the way he doesn’t act like a king, says the prophet. You will know your monarch by how close to him you can get. You will know your savior as the one who does not need to be on high, after all, but who wants to be as much like you as possible. He’s coming to the end of the line, this human Jesus, and we have taken the story of his ministry from beginning to end, starting with his baptism back in January. Just like little K, who we baptized earlier, he was declared beloved by God, marked by water symbolizing the covenant of love between God and humankind. There are people who would enjoy spending the rest of the day talking to you – or arguing with each other – about the role forgiveness played in his baptism, insisting that he wouldn’t have needed it. We don’t worry too much about that here. We aren’t relieved that K is finally washed clean of sin; we’re not even worried about it. We can assume that although we hope she will be a good girl, there will be times when she is not. Instead we understand her baptism to remind all of us that forgiveness comes to us through God’s grace, not through any act we might undertake to receive it. It’s a gift to all of us, and we know Jesus was human because he received it, too. Along with humanity came the kinds of experiences all people will know. Jesus was loved and hated, understood and misunderstood, happy and sad, and no doubt some mixture of pleased, amused and disgusted by the people around him. All those life experiences came with him as he rode into Jerusalem. In Jesus Christ Superstar, the disciples sing, “When do we ride into Jerusalem, when do we ride into Jerusalem…” as if they expect the whole crowd of them will mount up, those fishermen and the tax collector and assorted other unspecified first century ordinary people, as if they were going to mount up on military steeds and take the city on behalf of their rabbi. They lived in a time of small attempts at revolution, and they most likely thought they would be part of yet another one, making the city an even hotter place to be during the Passover celebration. Jews from all over the known world would be gathered there, under the watchful eyes of King Herod and the Roman Governor, Pontius Pilate, and all their supporters and troops and hangers-on and dependents. If you wanted to get attention, this was the time to ride into Jerusalem. Who is this? It’s no wonder they asked. We wave our palms and smile at the children and feel the joy of – well, what is the joy we’re feeling, exactly? We’re likely remembering being little children ourselves, going to church and having something to do that wouldn’t happen any other day of the year, marching around the sanctuary and waving the palms. We feel festive! Palm Sunday is one of the few days in the church year when pastors wear red vestments and we use the red paraments. It’s a party! Even good Americans, who would never want a king, love King Jesus riding into the city, and the sweet hosannas being sung, asking him to save us. Who is this? A man on a donkey, riding into town, was not the amazing sight. It was the people around him, and their clear adoration of him that got the attentions of the authorities, which set the events of the rest of that week in motion. In the days to come, we will remember events more dramatic and less celebratory. We will follow Jesus to the upper room, and out to the garden of Gethesemane. We will hear him pray and feel his disappointment when his friends can’t stay awake and wait for him even for an hour. We will shudder at his arrest and trial and crucifixion. We will wonder how anybody could think of betraying him. Maybe for just a minute we’ll realize that we would have been just like the people around Jesus, just as helpless in the face of earthly power, as sleepy as the men and as silent as the women who followed him from Galilee into Jerusalem, the same friends and followers who started the week cheering for him. Maybe, just maybe, we will step outside of our own stories and wonder how it felt for Jesus. The letter to the church at Philippi stresses that Jesus lived the human experience right up to the end. He had both the form of God and the form of a human. He rode into Jerusalem on that donkey as both. He did not use the power of God to save the mortal body. He rode in that day prepared to take whatever would come. And that makes me want to celebrate, although the form my joy takes feels as solemn as it does festive. We come to the end of Lent, to the beginning of this Holy Week, and we gather to worship God who loved us enough to be one of us: to live as one of us and to die as one of us. “Blessed is the one who comes in the name of the Lord! Hosanna in the highest heaven!” Amen. Thank you for this – I needed it.